Previous studies have shown that biomechanical analysis of aorta from diabetic subjects reveals a marked increase in stiffness compared to aorta from age-matched control subjects. In the present paper we have proposed that this increased stiffness can be attributed to glycation-induced inter-molecular cross-links based on a direct analysis of the two known glycation cross-links, the fluorescent pentosidine and the non-fluorescent NFC-1. 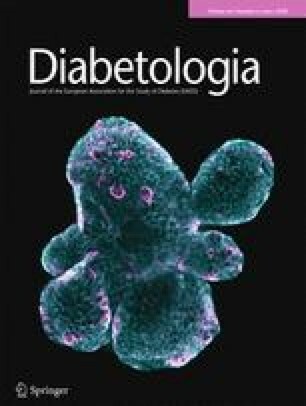 There was a significant difference in the increase in concentration of both cross-links with increasing age for both the intima (p<0.0025) and the media (p<0.0005) from the diabetic compared to the control subjects, but no correlation with the mature enzymic cross-link hydroxylysyl-pyridinoline. Finally, we have obtained a significant correlation of stiffness with both glycation cross-links (NFC-1, r=0.86; p<0.005 and pentosidine r=0.75, p<0.05), but the concentration of NFC-1 is about 50 times greater than that of pentosidine, indicating that it is the major glycation cross-link responsible for the stiffening of the aorta.